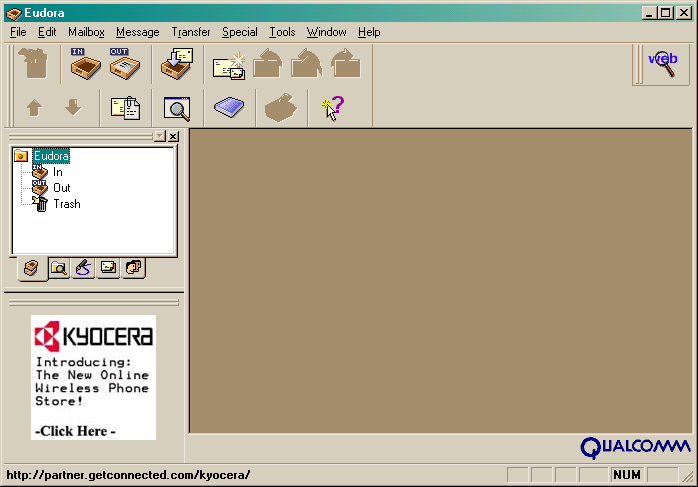 This is the initial screen for the adware version of Eudora. To setup your email account first go to the "Tools" dropdown menu. Click "Tools" now in the screenshot below to continue this tutorial.